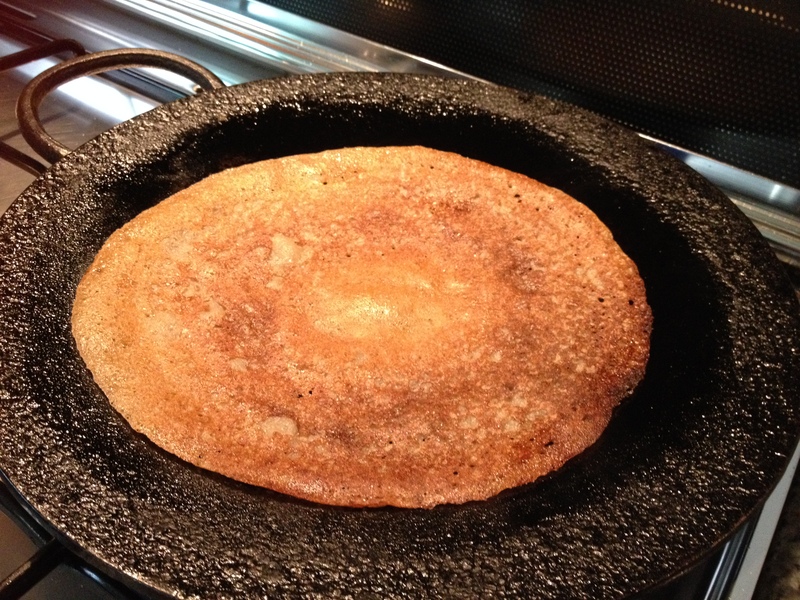 Next on the list of healthy/protein rich dosais/pancakes is Kambu Dosai. 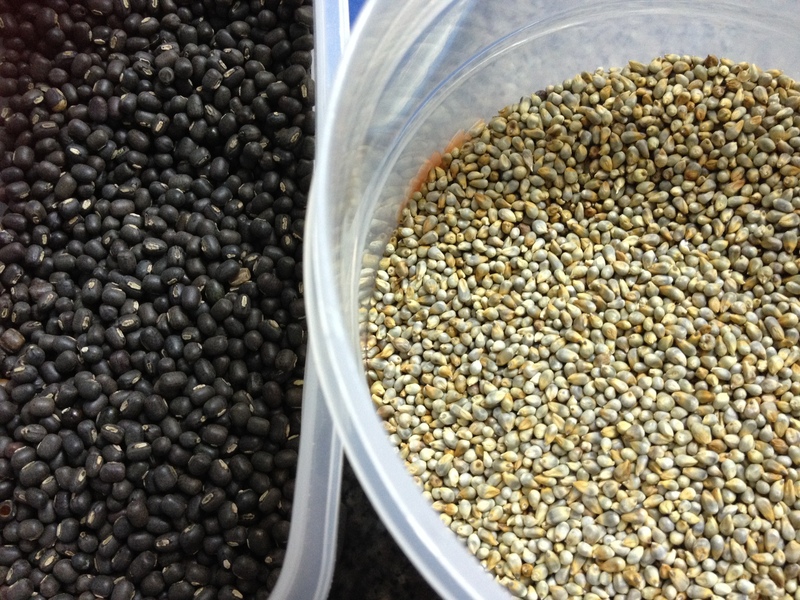 Kambu in Tamil is Pearl Millet in English and Bajra in Hindi. As mentioned in the previous Keppai Dosai Post, my daughter’s first intake after mother’s milk was finger millet porridge. Now, the goodness of these sprouted grains is that they are often used as weaning foods for infants and easily digestible foods for elders. Pearl millet requires surprisingly low amounts of water to grow. Pearl millet is one of the very few foods that turns the stomach alkaline and prevents formation of stomach ulcers or reduces the effect of ulcers. The lignin and phytonutrients in millet act as strong antioxidants thus preventing heart related diseases. 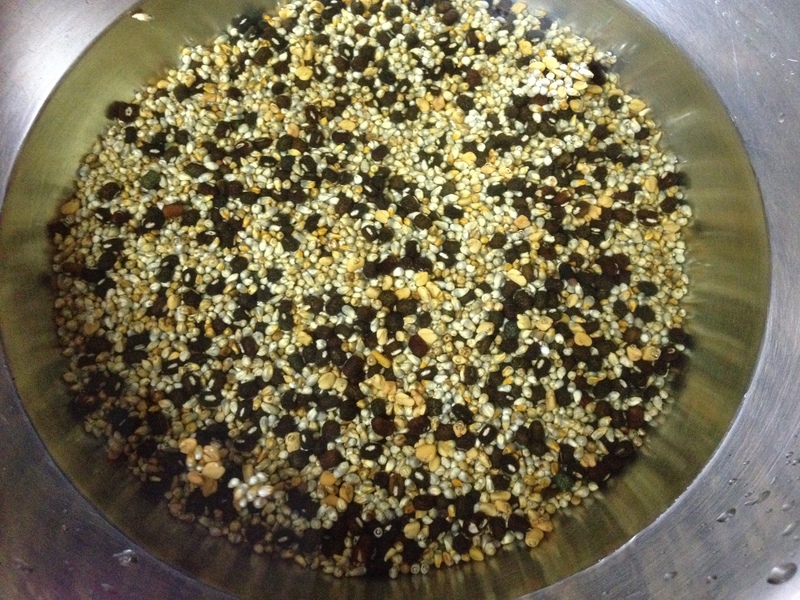 High amounts of magnesium present in pearl millet have been shown to control blood pressure and relieve heart stress. The high concentration of magnesium also helps reduce severity of respiratory problems for asthma patients and is also effective in reducing migraine attacks. It has a large amount of Phosphorus, which is very essential for bone growth and development. Owing to its fibre content it takes longer for the grain to move from the stomach to the intestines. This way, pearl millet satiates hunger for a long period of time and thus helps in lowering the overall consumption of food. This effectively helps in maintaining the blood sugar level constant in diabetes patients for a long period of time. Celiac disease is a condition in which a person cannot tolerate even a small amount of gluten in his/her diet. Unfortunately, most of the common grains like rice, wheat, etch have gluten present in them. Millets are the only type of grains which do not have any gluten present. Thus this is suitable for people with celiac disease. Pearl millet contains a type of phyto chemical called phytic acid which is believed to increase cholesterol metabolism and stabilise the levels of cholesterol in the body. The high fibre content in pearl millet is also known to reduce the risk of gall stone occurrence. The grain is very digestible as such and has a very low probability of causing allergic reactions. Due to its hypo allergic property, it can be safely included in the diets of infants, lactating mothers, elderly and convalescents. 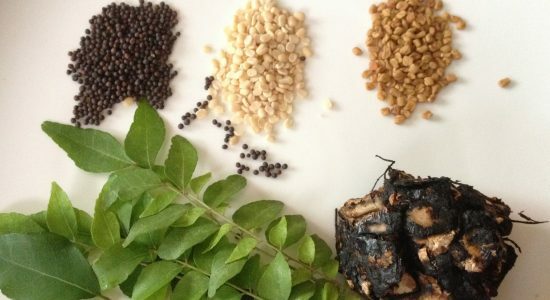 Kambu/Pearl Millet could be enjoyed in different forms and preparations. 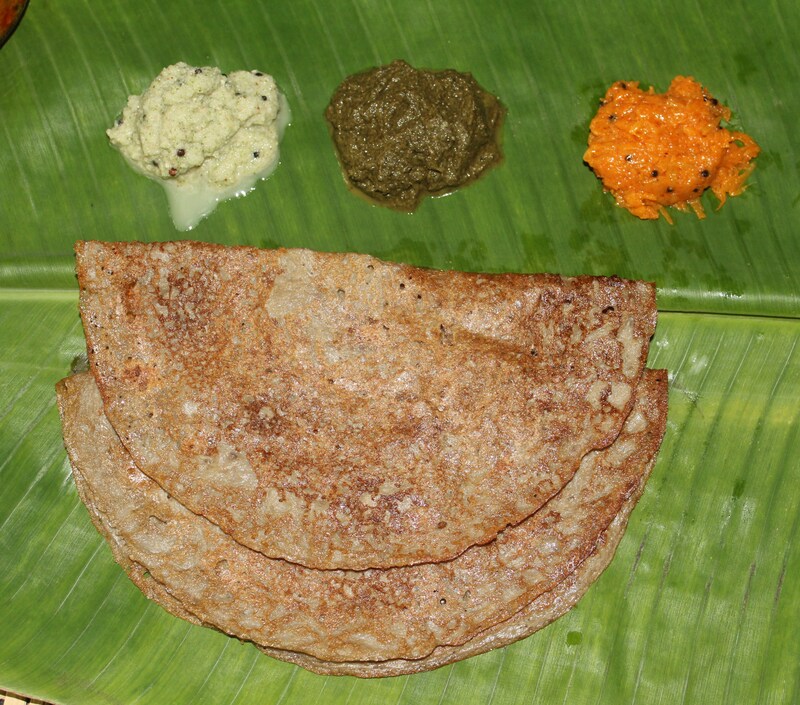 KambuIdli/Rice Cakes, KambuDosai/Pancakes, Kambang-koozh/ Kanji/Porridge, Kambang-Kali/Halwa, Kambu Upma and many more.